The District grows different crops for both home consumption and commercial purposes. These include; cassava, maize, bananas, beans, sweet potatoes, millet, mangoes among others. However there are several diseases and pests which affect our crops. For example, Maize is being attacked by stack borer and storage weevils as pests and maize streak as a disease, bananas are being attacked by pests like nematodes weevils, diseases like sigatoka and streak virus, cassava is being attacked by pests such as mealybug, green mite and diseases such as mosaic virus and brown streak virus Etc. 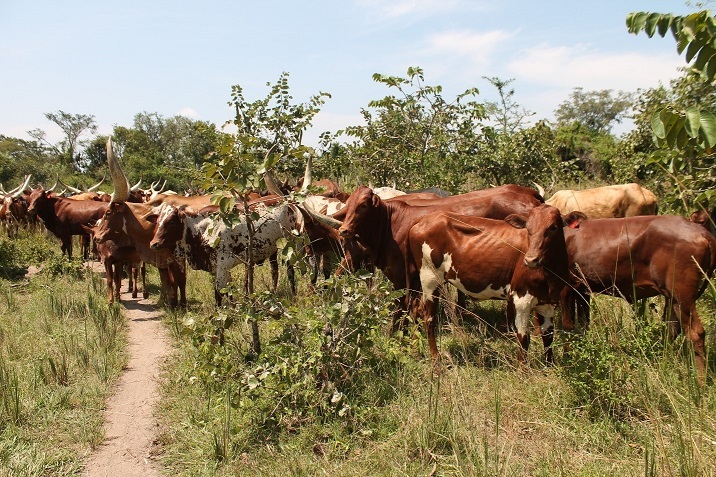 Animal husbandry is practiced in different parts of the District and animals reared are; cattle, goats, sheep, pigs, local poultry and exotic poultry both for home and commercial purposes. There are various types of farming systems used by the district for different animals. These are; tethering, free range, ranching, housed and zero grazing, In the production of goats the district mostly uses tethering followed by free range and ranching, in cattle rearing tethering, free range and ranching, in sheep production the district uses free range, in pig production tethering, free range and housed and in local poultry free range well as in exotic poultry housed. The following are some of the diseases that attack the animals; Tick borne disease attacks cattle and goats, lumpy skin attacks cattle, African swine fever attacks pigs, tryps attacks cattle, rabies attacks all animals, brucellosis attacks cattle, goats and pigs, helminthiasis attacks all the animals and new castle disease attacks both local and exotic poultry.